Stephane - the chef and myself Laurence Jaumouillé, we welcome you since march 2014 in the magnificent village of Saint Antonin Noble Val, a beautiful place to live. 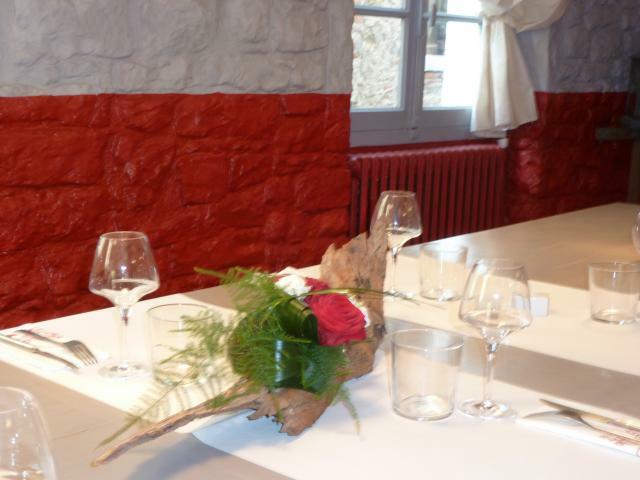 Stephane proposes his gourmand cooking sharing with you his experience and passion. The regional products and seafood are prepared with respect for the seasonal availability and flavours. Come and discover our Foie Gras of Duck and its Brioche, Carpacio of beef and Truffle Oil Foie Gras or also different types of lamb and fish from the local market complemented with vegetables of the seasons. Throughout spring and summer you can have your dinner on our shady terrace under the vines. We hope that you will have a marvelous experience with friends and family in our presence.